I had to have some shutters replaced, first ones where the wrong size and color, but no problem, Window Works corrected in immediately. My service guy was wonderful, even with me talking to him the whole time about my plans to move to Mexico! Very nice guy, very good service oh and the windows (22 of them) are still amazing!! I would recommend Window Works to everyone I know. I have bought windows and doors from window work awhile ago, Very pleased with the service and customer service. 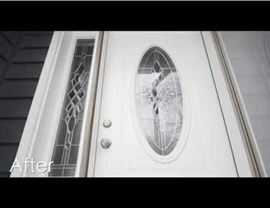 I am looking again to replace more windows, I had a very nice young man come out to give me a quote, Matt Sawicki , I didnt sign up right now, But would like to use them again. I will deffenitly call Matt again. Very good company. I have been a customer of Window Works for several years. My experience with Window Works products and customer service has been nothing but positive. In particular, Michele Ortega has been my customer service representative on more than one occasion over the years and each experience with her has been very pleasant. I find her to be extremely organized, professional and very courteous. My woodwork/trim needed some additional calking and painting. Jim Lovely did an awesome job calking my gaps in the woodwork and painting and finishing the drywall. He was very courteous and professional. Thank you WindowWorks for completing the job thoroughly. My windows are great! Window Works is no different than all of us, well intended, but sometimes things go sideway. In my case when they went sideways, Window Works had the right person in place to take what could have easily become a bigger problem and turned it into a huge success. After a list of issues I encountered on my project, Window Works sent Tela Malovski to my home. Tela quickly identified and agreed with a great deal of my concerns. Tela consulted with me on my 125 year old home to help correct limitations that my home provided for the job and re-faced well over half of the exterior windows that were installed in an unacceptable manner. Said differently, Tela and Window Works identified human mistakes but responded with a unique sense of integrity. Tela did not rush the job, got me the resources I needed, consistantly communicated about delivery and timelines and in the end delivered on what Window Works promised when I originally made my purchase. Customer service is difficult to deliver because standards change from customer to customer, but in Tela Window Works has clearly put the right people in charge of their reputation. Good windows, good process and great people! Thank you! Our consultant Dominik was very professional. He was very knowledgeable and gave us a great deal. So far our experience has been wonderful and I would recommend Window Works to everyone. During the vortex my windows had some icing in the corners and was concerned I had an issue. Ty explained to me why this occurred and was satisfied and relieved it wasn’t something more. I have had Ty come and he is very knowledgeable and kind. He is always such a pleasure with his upbeat personality that makes me smile . Thank you Ty ! Getting pricing from WindowWorks is fast, easy, and free. 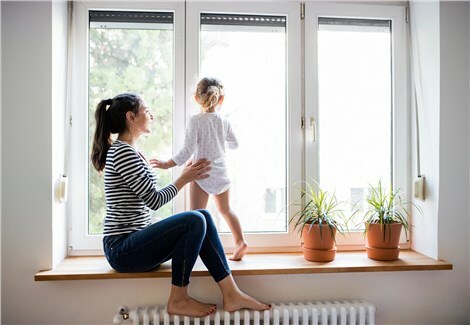 Over 35,000 homeowners trust WindowWorks. Check Out All Our Windows Have to Offer! Our window series leads the way in cutting edge engineering, energy efficiency, and beauty!